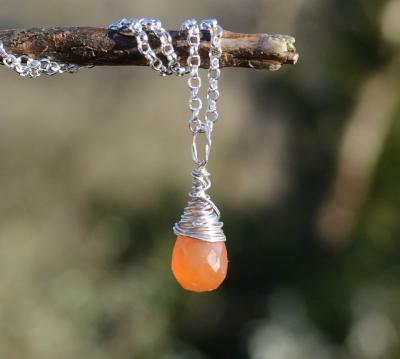 A 10mm briolette drop Carnelian in sterling silver. "Carnelian is a stone of creativity, individuality and courage. 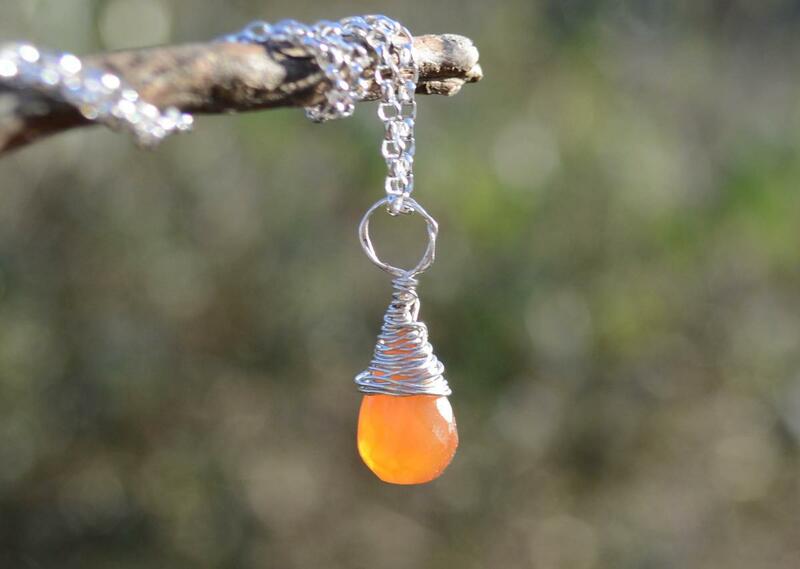 It is useful in work on the first, second, third and fourth chakras and can help to increase physical energy, personal power, creativity, and compassion.” Melody, Love is in the Earth.